It’s day 7 in Tokyo and we’re up and well rested after a taxing time the day before. As the sunlight streams into the place, it looks small and cosy instead of dark and dingy and we emerge freshly showered and hungry right into the heart of Shibuya. A hop, skip and jump and we find ourselves right at my favourite place in the whole of Tokyo– the junction where Loft meets Forever 21 (down the road leads to Tokyu Hands and 3 coins) and right infront of us is Coco Ichibanya. We spent the rest of the day wandering Asakusa and taking in the quaint ‘historical’ streets of Tokyo! We even found a really industrial- minimalist chic cafe in the heart of all the steel utensils and catering trays! Really cool because it’s actually an architecture office merged with a cafe! There banana muffins were the best I’ve EVER had. The second floor is full of cool designs and styling. Back to wandering Kapapbashi after coffee, muffins and ice cream! Does it not look insanely real?!!! So many beautiful white tableware for SUCH reasonable prices. When I get my new place, I’m going to come back right here and buy out the place. FRUIT AND VEG STORE!!! Look at the veg! They are just so insanely beautiful and bright and makes you feel so good just LOOKING at them. Imagine how good they’d be for your body! And to be honest, it’s been almost a week of (too) good food and I was longing for something simpler and fresh already. Haha. By the time we were done with dinner, the sun had set which left us just a little bit of time to wander a little bit more, buy more souvenirs and head to our last stop of the day! This was really un-yummy. Don’t waste your money on it. Our last stop for the day is Tokyo Sky Tree! We went there to buy souvenirs coz it’s a haven for it + they have a whole bunch of really cool stores there! One of my favourites is Burrows and Sun which is a Scandinavian- designed store carrying lots of zakka products and other apparels! There is also a huge grocery store on the top level selling the prettiest looking fruits and veg for really reasonable prices! MAN, if I lived next to such a store! I recommend buying Tokyo Milk Cheese Factory biscuits as souvenirs! They are yum! Hello strange but cute things. The bookstore there is fun and fantastic too 😀 Totally worth checking out! Moomin Cafe is there too, if you are into those characters! It was hilarious seeing ‘lonely’ patrons feel not so lonely because they were sitting next to a mega moomin character at their table! Back at Shibuya we were craving Shabu-shabu so we went in search of one! I stopped eating 2 mouthfuls into the meal because the soup was clearly just ajinomoto and water and my tastebuds were screaming suicide. This has got to be the worst meal I’ve ever had in Japan. I’m not trying to be racist or anything but this restaurant was clearly run by Chinese nationals and tasted more like a Chinese buffet (and hence catered towards Chinese tastes, perhaps?) rather than the more delicate flavourings I’ve come to associate Japan with. Bleargh. Just thinking about the meal now makes me feel a little sick.. and thirsty. Haha. It was the night before Halloween so Shibuya was crazy! The roads were packed and everyone was totally dressed up and it wasn’t even Halloween yet! What an opportunity to experience Shibuya during Halloween! OSAKA/ TOKYO AUTUMN ITINERARY 2014: DAY 6- Of hiccups and other little things. very free and easy itinerary so everyone was quite chill about it. scheduled, we only arrived in the late evening– totally exhausted. house was wayyyyyy smaller than we thought/ could tell from its pics! P.s I’m including the links to the airbnb apartment because I think that if you are a traveller concerned only about location, it still is a great place to stay. To be fair, the apartment owner also refunded our cleaning fees and tried to be as polite and accommodating as possible, so definitely no issues about that. 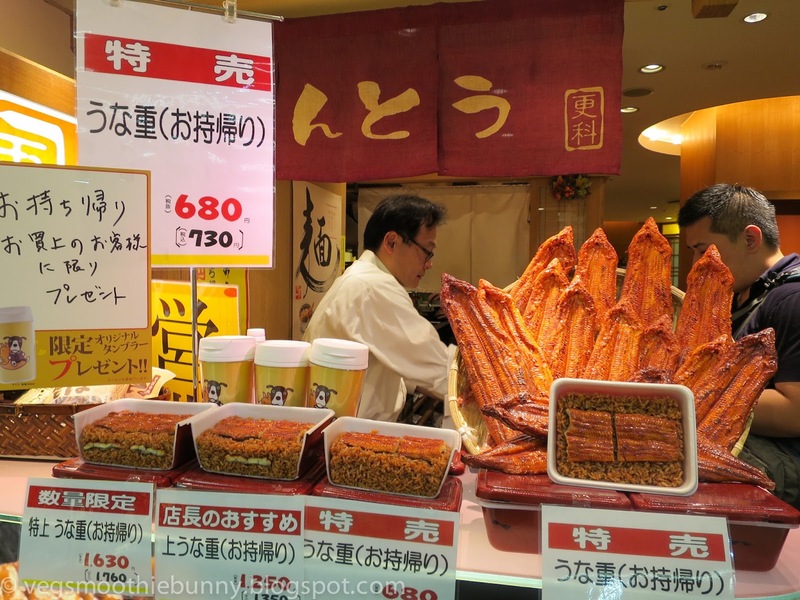 OSAKA/ TOKYO AUTUMN ITINERARY 2014: DAY 5- Osaka Fish Market Edo Sushi/ Momofuku Ando Instant Ramen Museum/ IPPUDO Ramen & Osaka Aquarium! Last day of Osaka today! Before we leave, breakfast at Edo Sushi! 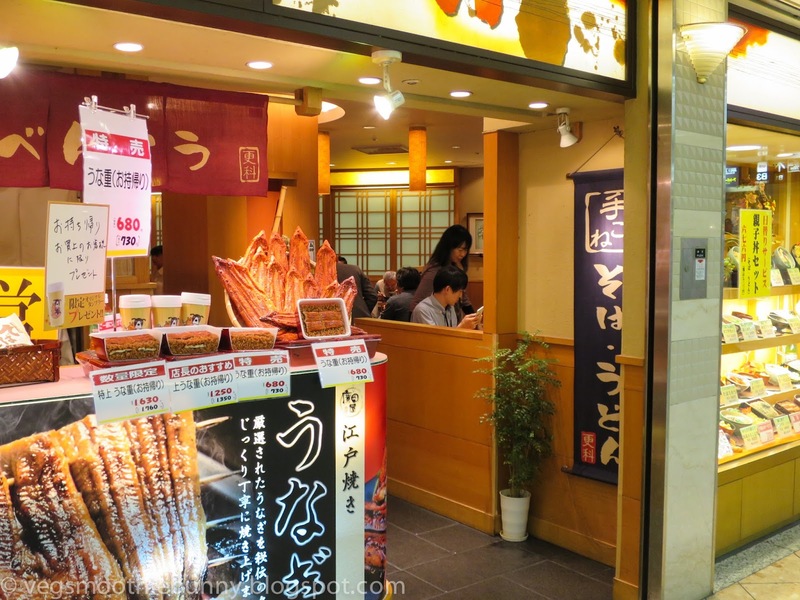 It’s located at Osaka’s version of Tsukiji so definitely worth checking out — amazing sushi without the insane queses! It’s actually pretty out of the way but it’s nice to get away from the bustling crowds once in awhile! Super thick and juicy pieces of sashimi! YUM! So delicately delicious! The clam soup was DELISH. SO COMFORTING in the cold. After a hearty breakfast we went off to Ikeda to the Momofuku Ando Instant Ramen Museum! We were so excited for this! I LOVE INSTANT NOODLES (but everything in moderation! ), it’s honestly a totally cool invention and I was dying to make my very own and bring it home! To get a glimpse of what it’s like, here’s a video for your reference! Yay! We are almost there! Our happy trek soon came to an abrupt end when we realised that The Instant Ramen Museum is CLOSED ON TUESDAYS!!! Hahahah. Oh well. The funny thing is, we KNEW about it and we made a note in our rough itinerary but we FORGOT about it. If you do go, please do tell me all about it so I can live vicariously through you. So to soothe our sorrows, we decided to try our Ippudo Ramen next door! Starbucks in Japan is fantastic, btw. Must be the milk. Or the air. I’m pretty impressed with Singapore’s Ippudo’s Ramen standard actually. The difference is barely noticeable (both are good). The only reason why it might taste really fantastic in Japan is because it costs a fraction of the price it sells for in Singapore. So same standard but WAY cheaper = much more enjoyment! My phone and camera ran out of battery right at this point so I also ran out of pictures for the day. Now if I may invite you to use your imagination to picture a series of cute seals, otters, penguins, cappybaras (!) whales, (ugly) fish and cool jellyfish, that was basically the rest of my day. HAHAHHA. We were really early and nothing was opened yet so we ended up at Macdonalds for breakfast. Yum! I love the Filet o’ Fish! Then onward to the Hankyu train station for the ride to Arashiyama in Kyoto! There are normal, express and limited express trains. We were really fortunate to be on a limited express train so it went straight to Arashiyama with only a few stops in between! Japan, your scenery and weather is AMAZING. I love it. We take a long meandering walk to find us some monkeys! How can this be unphotoshopped?! The natural beauty of Japan is just ASTOUNDING. Tickets are 550yen per adult and 250yen per child! Wear comfy shoes because there is a long long longgggg trek up the hill to the monkeys. Humans go into a cage and monkeys hang outside to get food! Gorgeous views from the top. Dat is an ant. Dat ant in a my mouth. Dat is a human. He feed me a banana. I really love this fellow! While all his friends were clamoring for food, he was just perched on a little log, whiling the time away and hanging out with his shadow. So zen. He lives on air. pftttt. All the others ar plebeians. All in, I had such a great time there! The place is so worth the climb up! And so much more fun than spending your day in yet another building! SO HAPPY! And it’s a great place to bring your kids too because while the climb up is a little tedious, the kids there were so intrigued by the monkeys! Great experience, I say! I sincerely wanted to change my FB profile pic to this. This is how I look at my mother every night before dinner. Where is dinner, mother. I am starvingggg. FEED. ME. PLEASE. PLEASSSSSEEEE. The slide down is only for children! WHAT IS THIS AGEISM! Kyoto is gorgeous. When I get back to Japan next time, I’m never staying in Osaka again. I’m just going to spend all my time exploring Kyoto. We make our way down for a snack and Togetsu Cafe. We walk along the streets lined with shops and make our merry way to the Bamboo Groves. SO zen. So amazing. So unlike anything else I’ve ever seen. There was this girl who was causing quite a crowd to form around her and I realised everyone was taking a picture of her cat! SO CUTE. He looks worthy of a meme. haha. Then lunch time! By day 3 I was craving for a salad already. So I ignored my friends excited exclamations over Tempura Udon and whatnot and forced my friends into the cafe that looked like they served the healthiest food on the street– OBU CAFE! Hehhehhheh. This unassuming tofu, shrimp and avocado salad. WHAT. This salad was so out of this world (what did they put in it?!) that even my carnivorous friends were so taken by it, they ordered ANOTHER one.Amazing! So good. So nutritious. So satisfying. Mhmmmm. Japan is a great place to get your friends to eat better. Everything tastes fantastic there, especially the vegetables! Along the way out of Arashiyama, we found ARINCO ROLL!!!! Hve you guys ever heard of Arinco? They used to have a store in Singapore but they closed down! I was devastated. The bunnies and I used to love the rolls so much we would order and eat THE WHOLE ROLL. Just like that! I swear E shrieked in excitement and we both ran across the road towards the store (without looking out for cars) when we spotted it! Bought a Kyoto-only cream sandwich to try and packed 2 rolls home for supper. The rolls were packed not just in a box but with ice packs in a cooler bag. T.T Japan, you need to stop doing this to me! Bye bye Arashiyama! You are beautiful and I wouldn’t forget you! Back in Osaka we had a massive craving for Korean BBQ so we searched the streets for a yakiniku place. Finally found one in some random back alley! Our Yakiniku cravings satisfied and now mildly satiated, we make our way back to our apartment and realise that a new Korean restaurant had just opened! 50% off their signature dishes! So dinner was korean food… in Osaka. Haha. We sneaked in a box of takoyaki to munch on while waiting for dinner to be served. With our tummies curving out and our smiles curving up, we waddled home to sleep. T’was another really good day.